Do Peaches Make Your Lips Itch? The tingling begins a few minutes after you finish your fruit salad. A strange itch starts with your lips and spreads to your tongue. “What is this?” you wonder. “What’s happening to me?” And then, just as quickly as it came, the itch is gone, and you forget all about it—until the next brunch. If this sounds familiar, you may be one of the many Americans with oral allergy syndrome (OAS). People with OAS find that their mouths and throats itch or tingle when they eat certain raw fruits and vegetables. Unlike allergies to peanuts or bee stings, pollen food allergy, as it’s also known, is usually nothing to worry about. With seasonal allergies and hay fever, the presence of pollen in the air leads to sneezing, runny noses, and congestion. 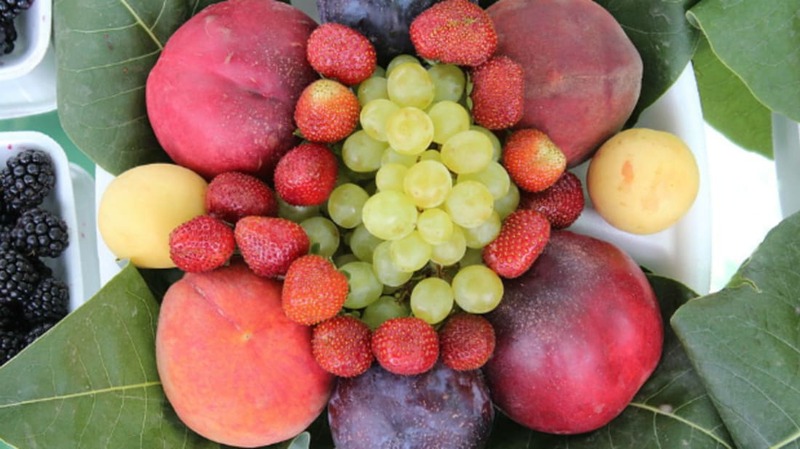 In OAS, the presence of pollen-like proteins in fruits and vegetables leads to a mouth-specific reaction. OAS reactions are generally pretty mild, lasting just a few minutes to an hour. (In rare cases, a person's throat can swell up, but most people just experience itching or tingling.) That’s because once the problem protein reaches your stomach, your digestive juices start breaking it down. OAS occurs when pollen and pollen-like proteins have built up in a person’s body, so it’s more common in adults than in children. Most people with allergies react to one or two types of pollen, which bear similarities to the proteins in specific fruits or vegetables. Check out the infographics below from the Washington Post for more information on the relationship between pollen and produce. It’s worth noting that people with OAS usually only react to a few foods—not necessarily every food on the list for their pollen type. But once you know which foods set off your allergies, it’s a pretty easy fix: avoid them. If you absolutely can’t give them up, try cooking them first. Even zapping a piece of fresh fruit in the microwave for 15 seconds will reduce its reactivity, because cooking breaks down the offending proteins just like your stomach would. Of course, if you notice a reaction to any food, it’s important to see your doctor. Many allergic reactions look alike, and some of them are deadly. A quick medical test can determine if OAS is the culprit.